I have just returned from a whirlwind journey, and have a splitting headache. So I’m not going to write anything clever. Besides, they say a picture is worth a thousand words, so here is a picture of the finished handkerchief. 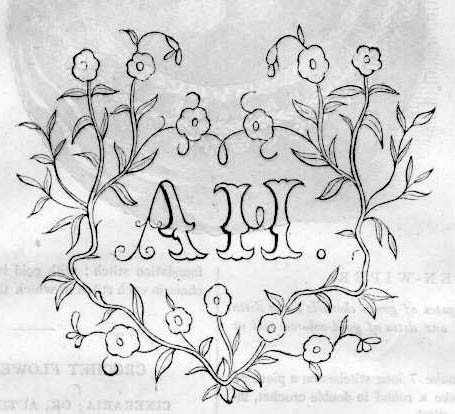 In case you’re interested, here is the pattern I used, originally published in Godey’s Lady’s Book, August 1850. Now, back to The Mayor of Casterbridge, which I just began. I sped through Agnes Grey on the train, but will make you wait to hear more about that until I feel I can do it justice. 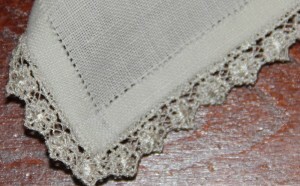 I made a little detour this weekend and hemmed a linen handkerchief. It’s a tedious but simple process — cutting the linen square to a thread, pulling a single thread for each fold of the hem, then a double thread where it’s to be sewed down. The corners are mitered of course, which is easy to do once the threads have been pulled. I sewed the hem with embroidery floss, wrapping it around three threads at a time to create the signature dotted line that has graced fine linen handkerchiefs for centuries past. This particular one is edged with some delicate floral lace from my bag of bits and pieces. 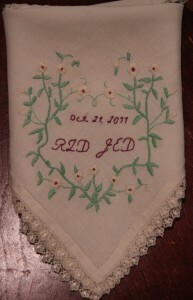 And yes, I plan to embroider something on one of the corners, but you’ll just have to wait to find out what. It’s a gift, so must be kept under wraps until I deliver it. It’s on the large side for a lady’s formal handkerchief — nearly 12 inches square — but since the lace is so tiny, I decided to err on the generous side. 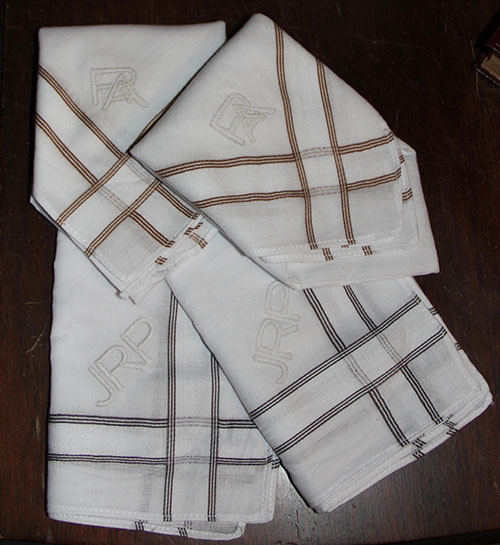 I’d love to see handkerchiefs that you’ve made. For inspiration, here’s one from the genius behind Costume & Construction. Perhaps I’ll make another soon and write a more detailed post about their proper construction and stitching.